Looking for a healthier way to snack? Celery may be your perfect solution. A must have on any party tray with ranch and a staple with Buffalo wings, celery adds texture and depth of flavor to poultry, soups, and stir fries. What do you think of when you hear “ants on a log?” If it’s not the tasty childhood treat of celery, peanut butter, and raisins, then I feel sorry for you. A good source of vitamins and fiber, celery cleans your teeth and aids in digestion, while the juice helps lower cholesterol and reduce joint pain and inflammation. Get the most out of your celery by growing it hydroponically. Celery is another cool season crop, growing best between 60° and 75°. While all parts of the celery plant are edible, in North America it is mostly grown for the crunchy, crisp stalks that grow in a tight bunch from a central point. One drawback to growing celery is that it takes longer than other hydroponic crops: up to 140 days, so start you crop early. A little patience and planning leads to a big pay out. There are two ways to propagate celery. Starting from seed is the better choice if you want to grow several pounds (or one Thanksgiving Days’ worth) of celery. Unlike other seeds, these could take up to 2 weeks to germinate in plugs. Once you see roots poking out the bottom of your plugs you’ll want to thin out the weak sprouts and move the stronger ones. The second, faster alternative is to grow it from the base of the last bunch you got from the grocery store. Without removing any of the outer stalks, cut the celery 1.5-2 inches from the bottom. Set this base, flat side down, on a plate of room temperature water. You should start seeing new growth in about a week. Once your roots are long enough, you can transplant into soil or into your hydro system. When choosing nutrients for your celery, consider adding a mineral supplement of calcium and magnesium or humic acid. Calcium and magnesium will help the strength of the stalks while humic acid will increase the speed of nutrient uptake for nutrient density. Celery likes a lot of water, so a deep water system like Emily’s Garden works well. Small enough to fit on a kitchen window sill or small shelves, this unit will help you get the feel of growing celery without having to commit to a large system. An air pump keeps the water oxygenated as roots grow into the 2-gal reservoir for water and nutrients. It comes with everything you need to grow, fertilize and finish your crop all conveniently together. Start by installing the view tube through the grommet at the base for the reservoir. This will help you determine the actual height of the water inside. After pressing the T-shaped air tubing into the inside of the tray, connect the other end to the air pump. The air pump fits discretely into a cavity below the reservoir. You will not need a timer as the air pump should run continuously. When you are ready to transplant, fill Emily’s Garden with water and add your nutrients, dissolving each thoroughly before adding the next. After you’ve propagated your celery seeds in the starter cubes, transplant 1 seedling/cube into each pot, sitting it securely in the clay pebbles. Be sure that your seedlings are positioned low enough in the pots for the water to reach the roots but not so deep that they’ll be flooded. Planted at the same time, arugula (left) and celery (right). The EcoGrower is a hexagonal, spider-style drip system. In flood trays, spacing can be an issue as tightly packed plants will promote very upright growth but might also encourage narrow, leggy stalks. Whereas spacing very wide, allows for less nutrient competition but can leave your plants too loose and wild. The EcoGrower avoids these 2 extremes using 6” liners in net pots that are evenly spaced. When transplanting into this unit, be sure to feed each drip tube through the side of the net pots. Your seedling should be positioned in the clay pebbles so that the drip line waters the roots nearest the stem to ensure the adequate moisture. The EcoGrower is air driven, operating off of one small air pump, so it is more efficient than other similarly sized units. Despite its large 13 gallon reservoir, it’s quiet and can fit neatly into smaller spaces. Since it comes with everything from nutrients to pebbles to liners, it can take your celery all the way from start to finish. Be sure to check the pH and EC regularly to maintain your crop. Keep celery growing year round in your home for fresh and tasty snacking all year long. For the adventurous, try letting your celery go to seed and harvest the coveted, savory flavoring. Remember, when in doubt, be sure to call on our knowledgeable staff to help make your grow a “snap.” Check out our other blogs for ideas on even more hydroponic fruits and vegetables! Do you want celery with that? Let us know your favorite varieties, grow techniques and recipe ideas on Facebook, Twitter, Google Plus, or Pinterest! 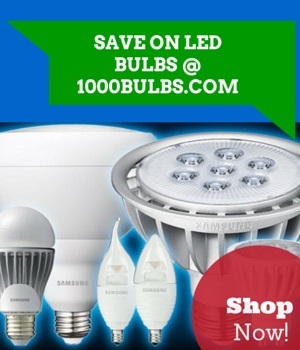 Aug 8 Are CFLs Being Phased Out?